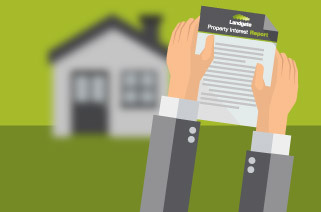 Find guides to help you complete land titling forms and the required fees payable when you lodge the forms with Landgate, as part of land document registration process. Titling forms can be completed online, including Transfers of Land, Applications, Memorials, Power of Attorney, Enduring Power of Attorney and Caveats. These forms can be completed online or printed and completed by hand. The information provided is intended only to be a summary and general overview. It is a guide only and may not be suitable for your specific circumstances. The information is not intended to be comprehensive, nor to constitute legal advice. We strongly recommend that you seek independent legal or other professional advice, appropriate to your own circumstances, before acting or relying on any information provided. Find a list of search and lodgement forms and current fee schedules. All forms lodged with Landgate will incur a lodgement fee. Find 'how to' guides to help you fill out a land titling form. Each guide has blank forms to change title details in the case of a divorce, death. a marriage, replace a lost title or a caveat. Find all blank land titling forms that are lodged with Landgate. All forms can be completed online or printed and completed by hand. Please ensure all forms are printed on both sides of the page. Find 'how to' guides and forms for changing strata title details. The guides apply to all single tier strata schemes registered before 1 January 1998. A complete list of all survey and strata titling forms that can be lodged with Landgate. All forms can be completed online or printed and completed by hand.